Not too sweet, but with plenty of the cinnamon-y, streusel topping, these muffins will be the hit of your Mother’s Day brunch. Don’t bake these in advance, but you can mix up the batter the night before and just pop them into the oven in the morning. Preheat oven to 375º. Line a 12-cup muffin tin with paper liners or coat with nonstick spray and set aside. To make the streusel topping, combine sugars, cinnamon and salt in a medium bowl. Add melted butter and flour, and stir it together using a fork until crumbly. Set aside. To make the muffins, in a large bowl, combine flour, sugar, baking powder, cinnamon, baking soda and salt. In a second bowl, whisk together milk, canola oil and egg. Pour the wet mixture over dry ingredients and stir until combined. Scoop the batter evenly into the muffin tin. Sprinkle with streusel topping, and press the crumbs into the batter. Bake for 17-20 minutes, or until a toothpick inserted in the center comes out clean. To make the glaze, combine powdered sugar and milk. Whisk until smooth. When the muffins are done, cool for 10 minutes and drizzle the glaze on each muffin. 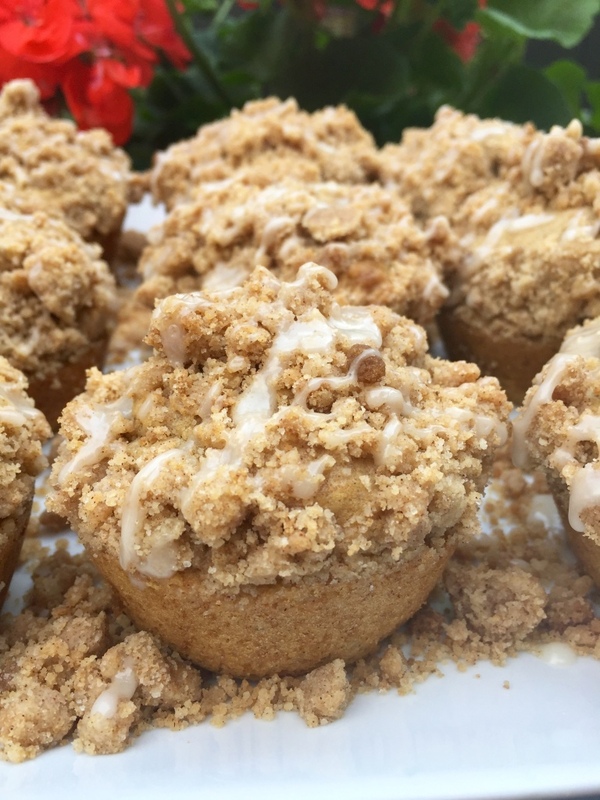 Copyright © 2015 Our Everyday Dinners - This is an easy recipe for how to make Coffee Cake Muffins.